The danger of beliefs | Awareness Now! Actually such beliefs exist nowhere but in your head. Yet there is one problem; we believe our beliefs are real and true! So typically when beliefs are challenged this leads to friction, reaction and conflict. It is most visible when people adhering to one belief-system start fighting those who adhere to another belief (as in religion) but in fact, it does not matter what one’s belief system is. The mechanism stays the same. Let’s make it more personal; someone makes a remark about you which seems to cast doubt on “your integrity”. When you are very invested in the conviction “I am a very reliable person”, it would almost be impossible not to react, right? You may in fact become very angry and remain angry for hours or days. You may even decide to hate the person that made this suggestion for the rest of your life! Beliefs are purely imaginary, yet at worst we are ready to kill or die for them! Whatever it means to awaken from this, it is not a belief or a concept. It begins with an awareness that you are “limited” by all our beliefs and identification with them. It begins when you find out your “being” (or happiness) actually does not depend on them. Awakening has to do with Reality (as it is) and not with what you think or believe. My experience is that a form of identification is one of the main things that constrains us, and that dropping that identification cures a lot of ills, including this particular one. But it’s not the only thing that can be dropped in the awakening process—actually there are a host of things that can be dropped, and they can be dropped to different degrees. Yep. That’s pretty much what it looks like to me. Questioning every belief has changed my world. If everything we know is a belief, is it even possible to function without beliefs? eg, I’m writing this. This communication is a belief. What now? Does communication stop? Good point. However IMO there is a real difference between being identified with a belief and thinking/acting along those lines, or simply being aware without any evaluation taking place. You don’t have to believe in anything, to appreciate the beauty of a sunset for instance. You don’t have to believe anything to be aware how 1 + 2 = 3. In other words, no identification with any concept or thoughts is required. It is interesting that many people equate being aware (or conscious) with thinking/believing. They are not the same. Do you see what I mean? 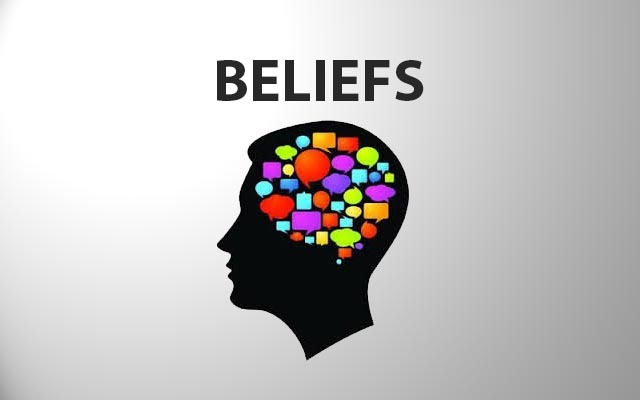 Beliefs are one of the most important things to the individual ego identity. Without them the ego wouldn’t exist. It’s whole existence is base in beliefs and identifying with beliefs. Funny thing is, that which is doing the believing is the ego identity. Stop the act of believing and the wind in the ego’s sails is gone. Once a belief is established it becomes the rule of all action and attitude, regardless of whether I am aware of it or not, until the belief is recognized and changed (dis identified with). Human beings spend their entire lives finding something to identify with i.e. I am a Catholic, I am a democrat, I am a social worker, etc. We engage in numerous conflicts with others defending that which we identify with never realizing that identifying with anything is the grand illusion. We are asleep and unaware of our fragmented inner state.